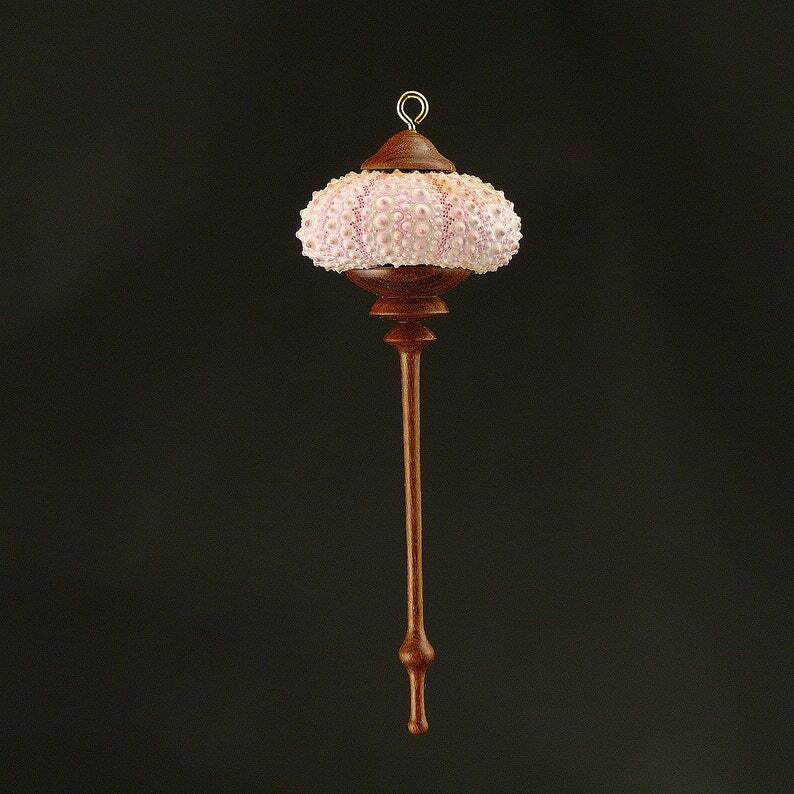 This is a hanging ornament of Pink Sea Urchin shell. The hollow urchin shell is topped with a hand-turned wooden cap of Brazilian Ipê, and brass screw eye; the elegant icicle below is also hand-turned on the lathe from the same wood. This is a delicate piece, to be handled with care; it weighs less than 1 ounce. The shell diameter is 1-1/2 inches; overall length of the ornament is 4 inches. Item # OR38, Pink Sea Urchin Ornament. International buyers- please contact me for shipping costs.